Terminator Salvation: The Final Battle #1 <--- Finally! New Terminator! J. Michael Stracynski. Catalyst Comix #6 <--- Joe Casey! Grindhouse: Doors Open at Midnight #3 <--- Alex de Campi! 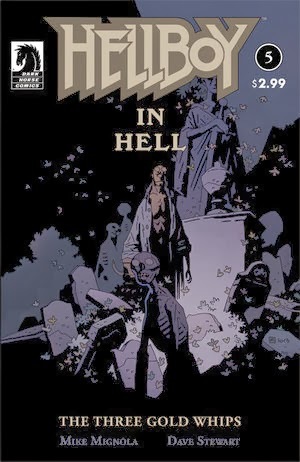 Hellboy in Hell #5 <--- Hellboy RETURNS December 4th! Michael Avon Oeming’s The Victories #7 <--- Mike Oeming! The Occultist #3 <--- Mike Norton & Tim Seeley! The Star Wars #4 <--- The wild & crazy adaptation continues! CBLDF Presents Manga: Introduction, Challenges, and Best Practices TPB <--- Read up on Manga! Great readers guide. The Savage Sword of Conan Volume 15 TPB <--- Fantastic Conan collection. 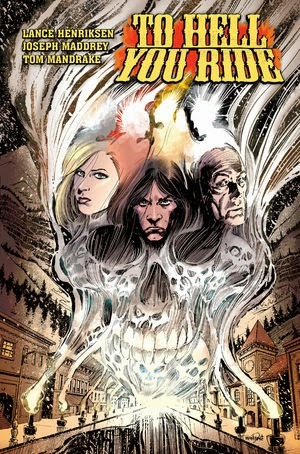 To Hell You Ride HC <--- Lance Henriksen's epic horror story is collected! Read it! Trying to add new feature to the site, will see how long I can keep up with... I wanted to thank Dark Horse Comics for adding us to their schudele.